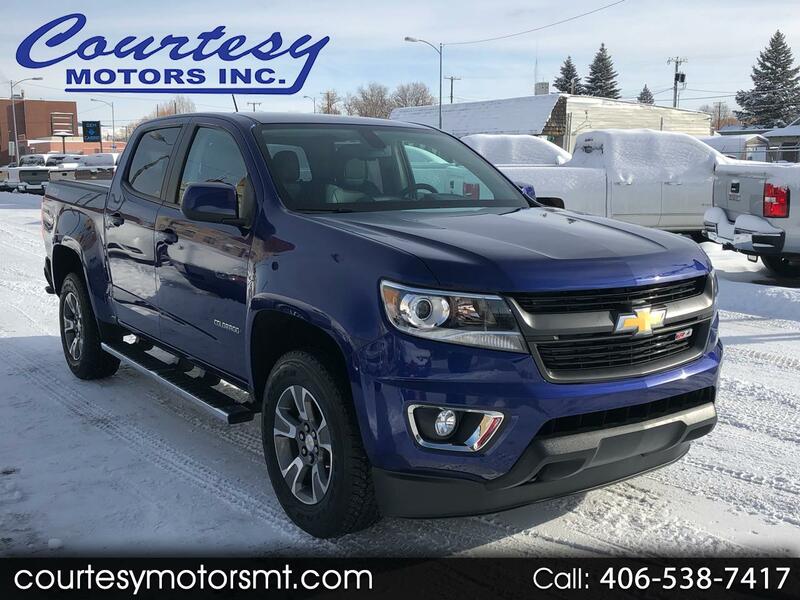 Used 2016 Chevrolet Colorado Z71 Crew Cab 4WD Short Box for Sale in Lewistown MT 59457 Courtesy Motors Inc.
Clean One Owner Car Fax on this beautiful 2016 Chevrolet Colorado Crew Cab Z71! Loaded with heated leather trimmed power seats, Navigation, keyless entry, remote start, backup camera, and so much more! The 3.6L V6 is great on power and economy, and the 4WD system will get you around, year round! Don't miss out on this Laser Blue 2016 Chevy Colorado Crew Cab Z71!